An important part of eighteenth-century maritime conflict involved the destruction of enemy commerce and the protection of home trade. In performing these tasks, state navies were augmented by privateers, vessels owned, equipped and manned by private individuals authorised by their governments to attack and seize the enemy’s seabourne property. For their reward, the investors and seafarers engaged in privateering ventures shared in the proceeds of any ships and goods taken and condemned as lawful prize. Privateering therefore represented a business opportunity to the maritime community, a chance to acquire instant wealth at the enemy’s expense; at the same time, it appeared as a cheap convenient means by which the state might supplement its naval strength. 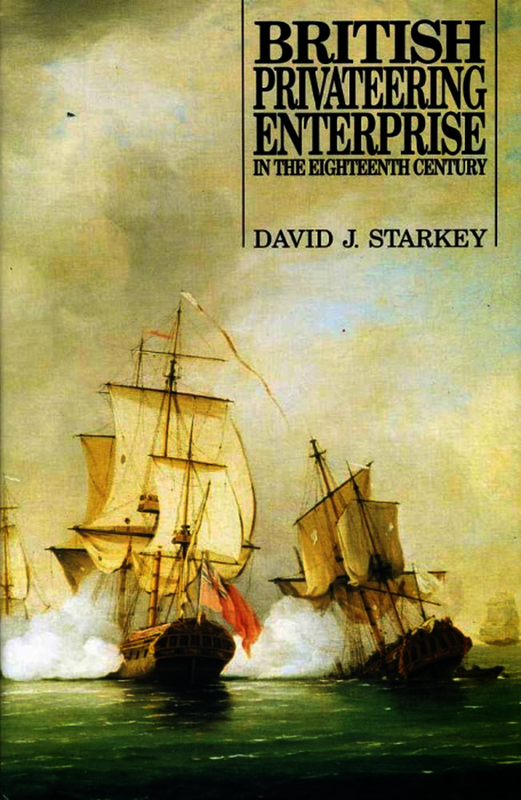 In this important analysis David J. Starkey draws upon a wealth of documentary evidence to throw fresh light upon the character, scale and significance of the British privateering business. David J Starkey graduated from the University of Leeds with a degree in Economic History. He then gained an MA in the History of the Atlantic Economy at the University of Exeter, which led to doctoral research into the character, scale and significance of British privateering in the eighteenth century. Having gained his PhD, Dr Starkey was appointed Research Fellow in the Maritime History of Devon project at the University of Exeter, an appointment that was followed by two further research fellowships in maritime history at Exeter. In 1994, Dr Starkey joined the History Department at Hull when he became the holder of the first permanent lectureship to be dedicated to maritime historical studies in the UK university sector - the Wilson Family Lectureship in Maritime History. Dr Starkey is Director of the Maritime Historical Studies Centre at the University of Hull. ... an excellently researched and written guide to eighteenth-century British privateering which sets new standards for academic achievement. The excellence of this book lies in the research that has gone into it, its orderly structure and its readability. Most of all it opens the way for even more detailed work to be undertaken at national, regional and local levels. We are indeed deeply indebted to Dave Starkey. A first class work of original scholarship and a readable account of a dramatic chapter in nautical history. David J Starkey is Professor of Maritime History and Director of the Maritime Historical Studies Centre at the University of Hull.